Confession time. I. Love. Clothes. And lots of them. I’m a person that craves options because I quickly get bored with my wardrobe. Problem is, I’m not a millionaire that can go around buying expensive apparel in department stores all the time. I can’t justify spending a fortune on a top that I’ll love to wear a few times before I feel myself thinking, “I have nothing to wear!” That’s why I love T.J. Maxx and Marshall’s. I’m always on a budget, but I like fashionable and pretty things. At TJ’s (as my grandmother and I love to call it) and Marshall’s, I can load up on great designer items for amazing prices. Especially when I’m about to go away on a trip, I like to feel special in something new and fashionable, so I always know exactly where to go. I used to have a theory that the reason T.J. Maxx and Marshall’s is so affordable is because the items were factory rejects or out of season. Although I’ve never picked out anything that was “so last season” or even slightly deformed, I stuck to this belief because it didn’t make sense to me any other way. 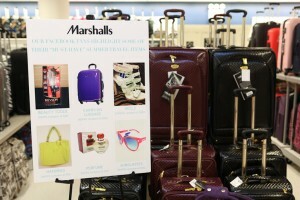 When I recently attended a Summer Travel event with T.J. Maxx and Marshall’s, I learned the secrets to these great deals. Year-round, buyers for T.J. Maxx and Marshall’s travel the world sourcing from 14,000 vendors in 60 countries, picking out merchandise. The reason that they can offer deals up to 20-60% less than other retailers is due to overbuying, cancelled orders, and overproduction. Once the buyer finds something fantastic, it can be in the stores within two weeks. More than 10,000 new items arrive in every store each week. So not only do you get great deals, you get more selection to choose from. 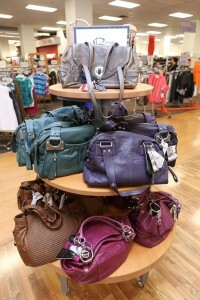 At T.J. Maxx and Marshall’s, you can shop for women, men, juniors, children, and pets. They’ve got everything from apparel to footwear to home décor. It’s the only place that I can walk out of holding designer jeans, a beautiful picture frame, a pair of sandals, sunglasses, a treat for my dog Piper, and body lotion for under $100. I challenge anyone to match that bargain in a department store. Now that summer is upon us, it’s time for a lot of us to travel, and T.J. Maxx and Marshall’s have the hook-up. 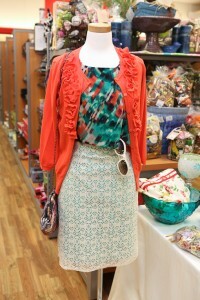 You can find all of the essentials to complete your summer style. It is so great to be able to put together out a new swimsuit, perhaps a sundress and hat, and even pick up a new suitcase to get you to your destination. It really is a one-stop shop for even the tightest of budgets. 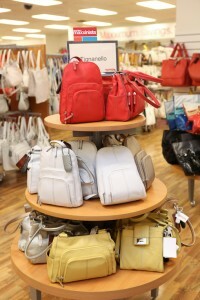 The folks over at T.J. Maxx and Marshall’s also have some great suggestions for the smart and stylish traveler. To avoid spending extra money on the new established airline fees, purchase a digital luggage scale. Always weight your luggage before you fly to dodge unanticipated costs. Black is the most popular color for luggage, but over the past few years color and prints have begun to emerge as must-haves. To avoid an unintended bag swap at the airport, look for luggage in different prints and colors so your piece is easy to spot while still being stylish. Even adding an accent to your luggage, whether a handkerchief or ribbon to the handle, will help you identify your baggage. Use space-saving cubes and shirt folders to prevent wrinkles in apparel. Your wardrobe will still look great when you arrive at your final destination. i want a digital luggage scale…fab item!! I got so many bargains from TJMaxx and Marshalls! One of the best was a very cute Guess purse for $19.